China is really just starting its automotive business, (and fake cars are part of it) and I am sure that Japan should keep an eye open because long term if China can do with its automotive industry, what Japan and Korea have done with theirs for many years , then they got some competition. I think that Japan, US, and Europe should keep an eye open on this automotive developments in china. Chinese manufacturers are probably not afraid of copying anything. 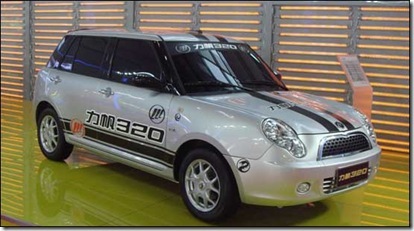 The pictures show that the Chinese managed to copy many top brands as Mercedes, BMW, Smart cars and even a whole bus. A Chinese company entitled Haunghai Automobile was definitely not afraid of violating the rights of Hyundai, which created Santa Fe. The Chinese manufacturer duplicated Santa Fe, Its car looking just like Hyundai’s SUV. 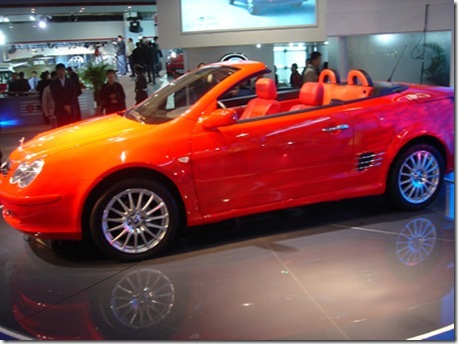 What is most amazing is that both cars were presented at the Beijing Auto Show. The Chinese designers from Geely have built a Rolls Royce Phantom replica that keeps the luxury intact but goes easy on your wallet. With a wonderful 2+1 seating arrangement and a throne-like rear seat below the night sky, the new Geely GE could easily become the road’s emperor. While Geely boss Li Shufu boasted Geely GE “will be the manifestation of the highest level of world’s auto industry” to the Chinese press. Appealing for the Chinese businessman who can’t afford the real deal, this Oriental limo is getting some royal treatment before showing off at this year’s Shanghai Auto Show. Not only did they copy the name from BMW (3 Series), but check out the overall looks of the car. 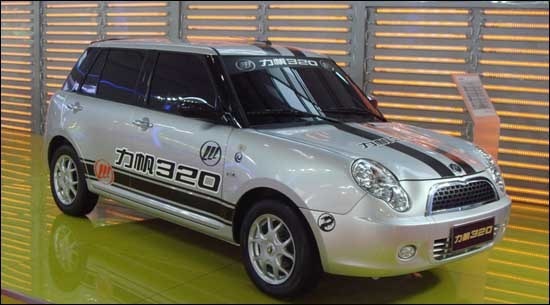 The Lifan 320 is set to be used by Lifan as a rally car in certain stages of the Chinese rally championship, Lifan will then launch the Lifan 320 later. Here we go again, the list with Chinese knockoffs has been enhanced with the addition of a MINI clone made by a carmaker called Lifan. The Lifan 3-Series (how ironicâ€¦) was introduced to the Chinese media today, and according to the translation we made from the clone maker’s official site, the MINI(cat) will go on sale in China during the first half of the year. This is what decades of communism do to creativity. Notice how the Soviets copied everything as well back in the day… From cars, Jetliners all the way to wristwatches, Russians made counterfeit copies of everything made in the Western world, now China is having a heyday with it. 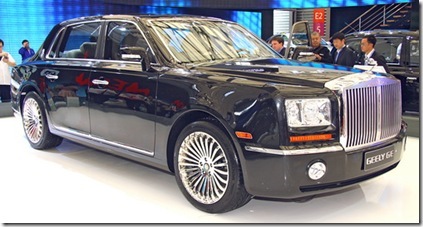 The “Chaika” limos used by members of the Soviet politburo were copied from a late 1950’s American Packard sedan. If you are into aviation, the Tupolev TU-154 jetliner is the soviet made version of the Boeing 727. The British made Vickers VC-10 jetliner was copied by the Russians with the Illushyin IL-62 (4 jet engines mounted in the back). You’ll do a double-take the first time you see a BYD F8, It looks a lot like a Mercedes Benz Car. BYD, short for Build Your Dream, is a top producer of cell-phone batteries and began building cars five years ago. Chinese car companies are notorious for copying (or stealing) the designs of western carmakers, and these latest images from China’s BYD CAR show that they aren’t afraid to hold back either. 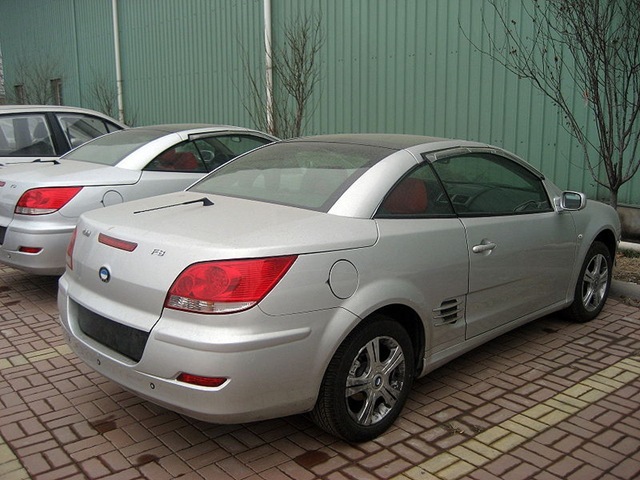 The model above features an almost identical Mercedes CLK front-end and Renault Megane CC rear. BYD has been around since 1968 and is mostly recognised for the manufacture of batteries, but the company still decided to copy the BMW logo with its own take on the famous badge. No company is safe from BYD’s imitative designs. Their website reveals cars that resemble models from Toyota, Daihatsu, Honda, Mercedes Benz, Buick, Subaru and the aforementioned BMW. This is what the people from BMW though when they pressed charges against the Shuanghuan CEO, a car which seems to be the sister of the X5. The trial is finished and the judge has decided that the two cars have nothing in common. This car was selled in 200 units until this point, but they plan on selling at lest 1200 more in Europe in the next year. According to an article written in Economist,fake cars that are manufactured by such firms as Shuanghuan Automobile and Chery, are probably be the most complicated. In the picture there are BMW’s X5and the Shuanghuan CEO. Regardless of the glaring mechanical differences between the CEO and the X5, the CEO apparently bore enough of a resemblance to the BMW X5 at the Frankfurt Auto Show so as to cause the Bavarian auto company’s skin to prickle. 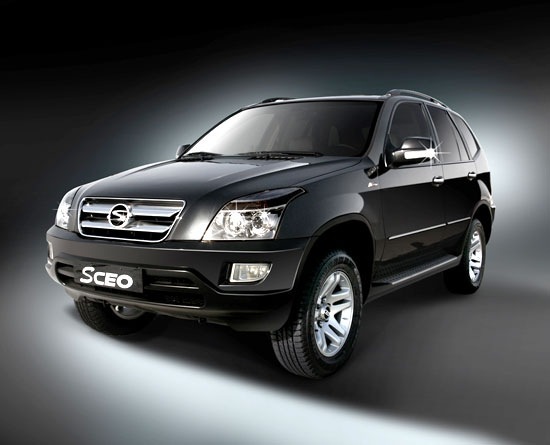 The uproar started at the Frankfurt Motor Show last year when Hebei, the Beijing-based parent company of Shuanghuan, introduced their new SUV, the CEO, to the public. 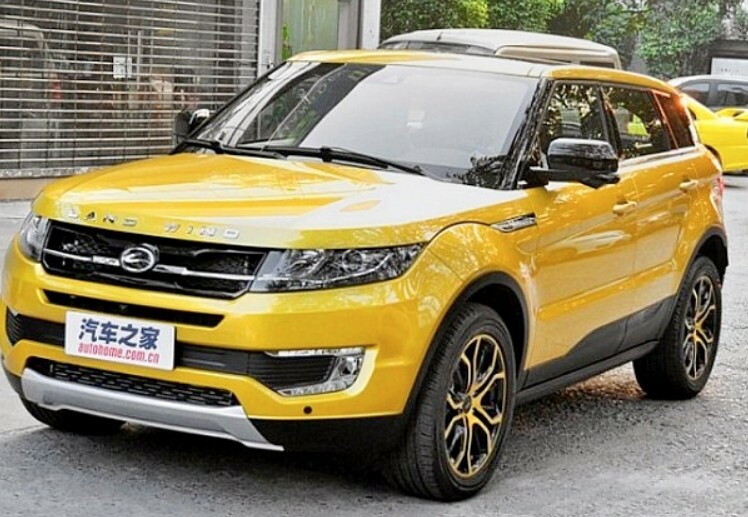 The Shuanghuan, a 4-wheel drive, 5-passenger, 5-door wagon, features a 5-speed manual transmission, and a DOHC 16-valve, 4-cylinder in-line engine ( google baidu ). Surprisingly enough Italians also managed to copy a car. From previous incidents recorded , police accused 15 individuals of faking red Ferrari sports cars and putting them up for sale to fans of the brand. It is worth mentioning that some of the Ferrari fans were aware of the fact that they purchase a counterfeit car. People who produced counterfeit Ferrari cars used a few original parts but most of the parts were fakes. The body parts were taken from cars of other brands. Amazing blog. I wonder how they get away with copying everything that exists. Chinese have changed the world manufacturing. They can replicate almost anything. Fake eggs, fake meat, fake pumpking, sounds crazy but they do. Great Post as Always, that’s why I am fan of your site. Thanks for the info. Amazing information, I appreciate the great jobs and wonderful news. Great article, It’s really awesome info. Thumbs Up for this great job. F*ckin’ amazing things here. I’m very happy to see your article. Thanks a lot and i’m looking forward to contact you. Will you kindly drop me a e-mail? If you would like to obtain a great deal from this article then you have to apply these strategies to your won webpage.